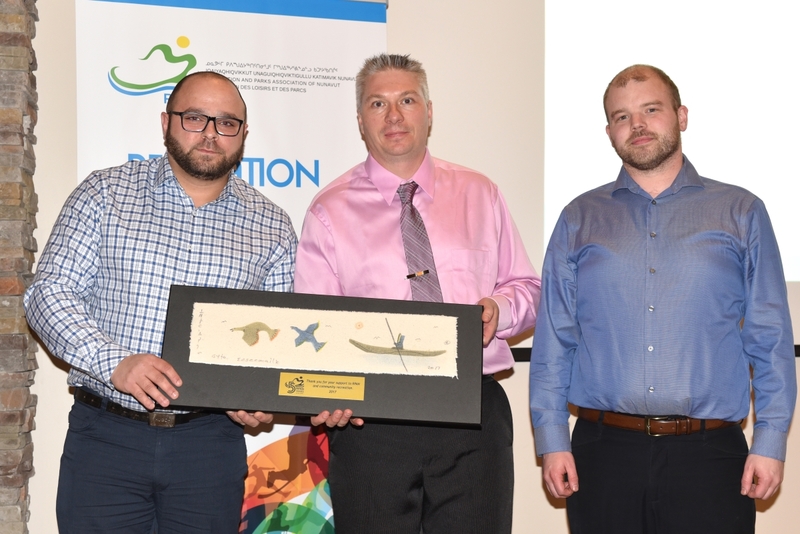 On October 14, Recreation Parks Association of Nunavut hosted the 2017 Recreation and Sport Awards Gala in Iqaluit. The wonderful evening, recognized and celebrated the successes and contributions of the recreation and sport community. RPAN honored its partners at the event, including Northern/NorthMart. As a strong supporter or RPAN, Northern/NorthMart stores have been actively involved in providing healthy snacks for the Get Happy Summer Camps and NU Play after school programs, as well as prizes for the NU Tracks Walking Challenge. Since 2016, over $13,000 has been donated to support the programs in Hall Beach, Taloyoak, Igloolik, Kugluktuk, Gjoa Haven, Coral Harbor, Arctic Bay. Clyde River and Iqaluit.